vehicle rentals. 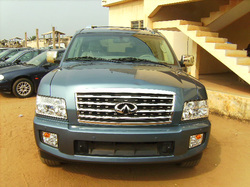 The company serves business and leisure customers throughout TOGO, BENIN, GHANA, BURKINA FASO. ABMS TOGO market leader and is also leading in its environmental approach to car rental. It opened its first “environmental agency” in TOGO in 2008. Part of booking a great vacation in West Africa means booking it at a great price.